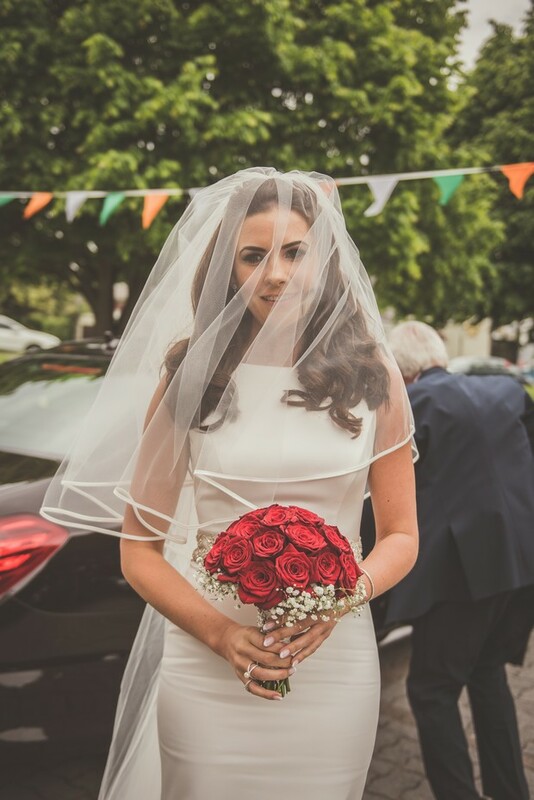 We met… in the Bowery Nightclub in town, had know each other since college but Niall moved to Dublin. 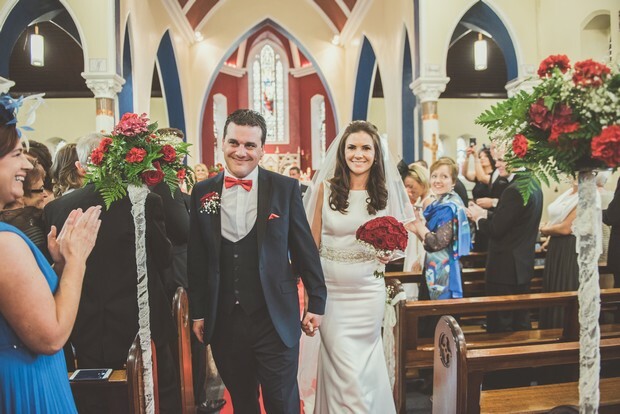 He was down in Cork on a night out just before Christmas 2013 when we met. 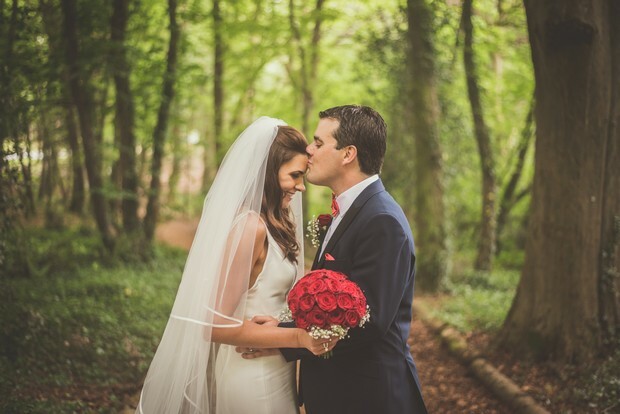 Six months later he moved to Cork and 10 months later we got engaged. 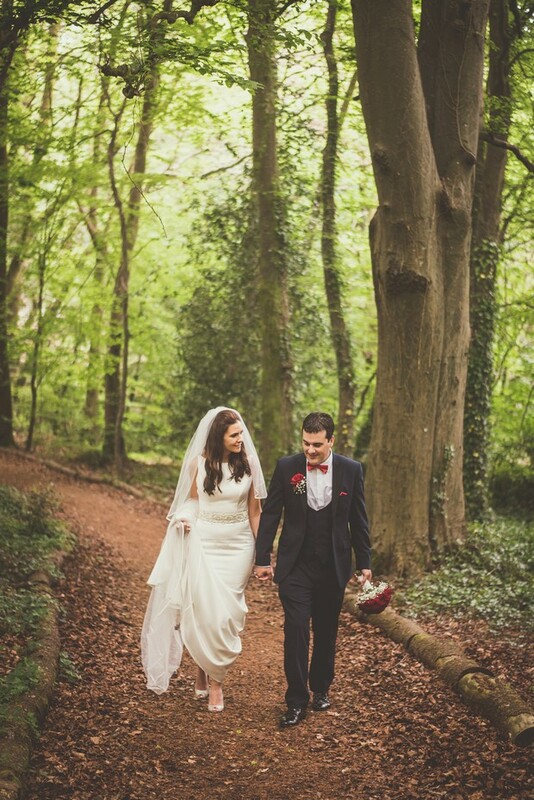 Our proposal… A beautiful sunny day on 27th April 2015. 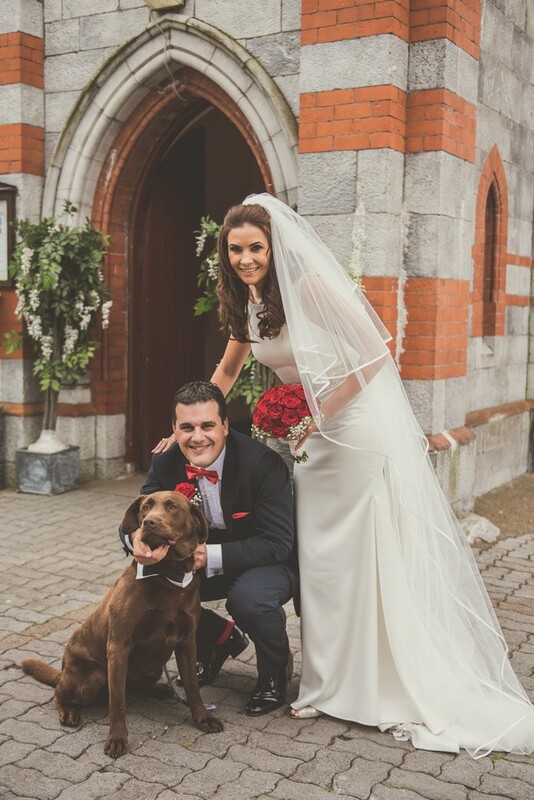 We took our chocolate brown Labrador, Denzel to the beach in Kinsale for a walk and there Niall went down on bended knee. 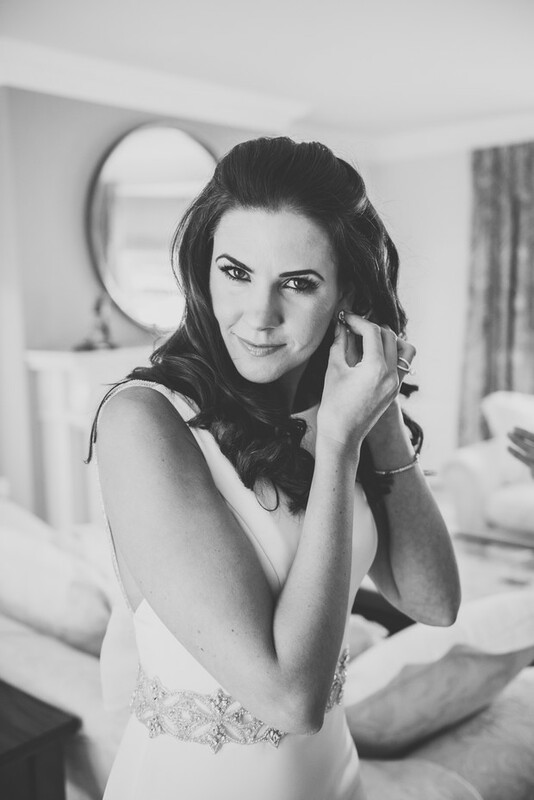 My hair and make-up… Jacqui Murphy Hair and Liz McCarthy Make-up. 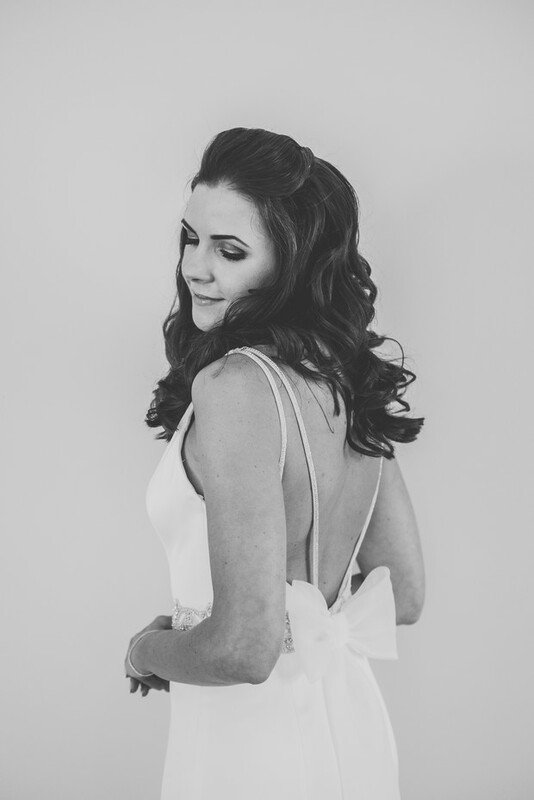 My dress… was a Paloma Blanca dress. 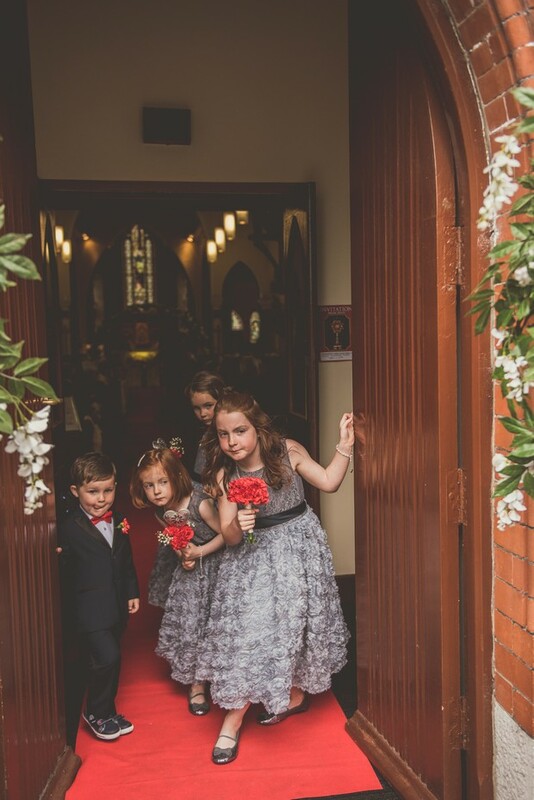 The flower girls’ dresses… were from princessly.com. 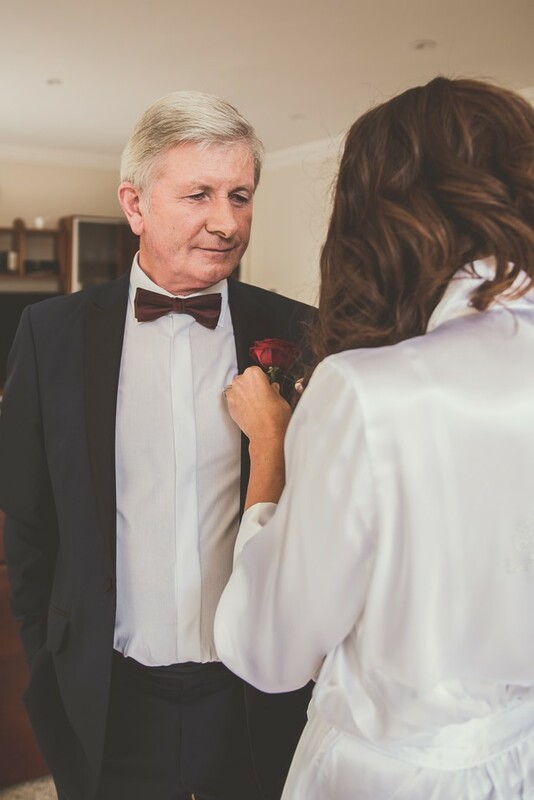 His suit… was a navy tux with a black satin lapel. 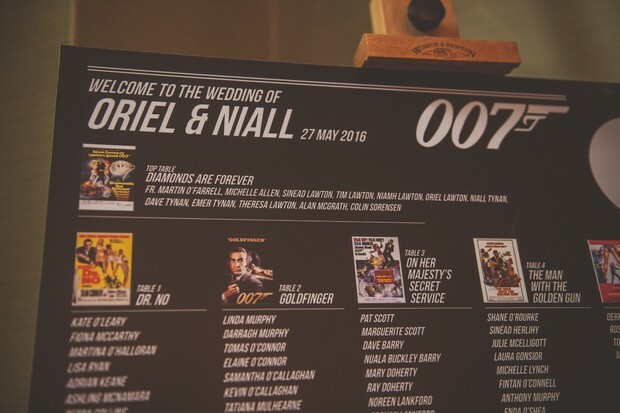 Niall wore a red dickie bow, and the groomsmen wore platinum bowties to match the girls. 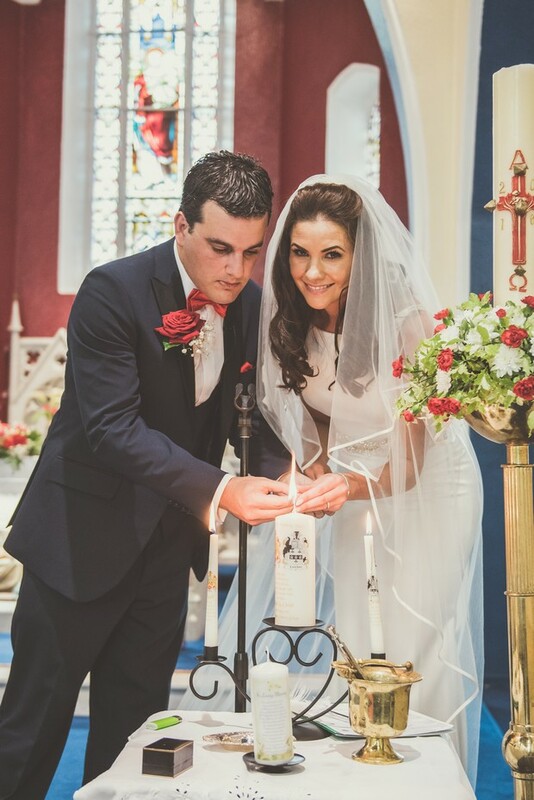 Our ceremony… was in St. Josephs SMA Church, Wilton. 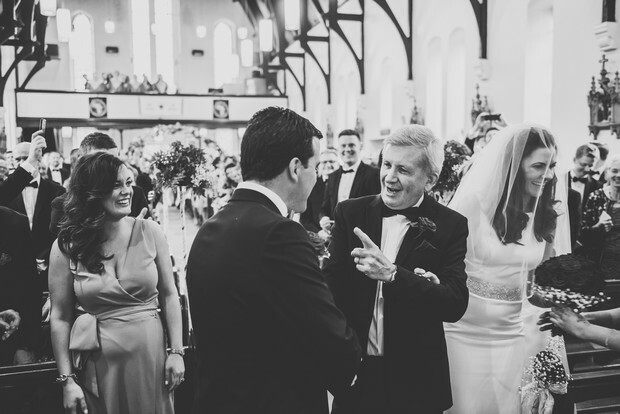 Also we had a fab gospel choir; The Hallelujah Gospel Choir. 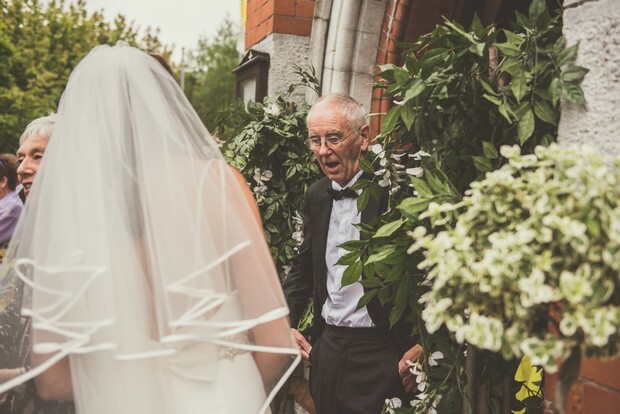 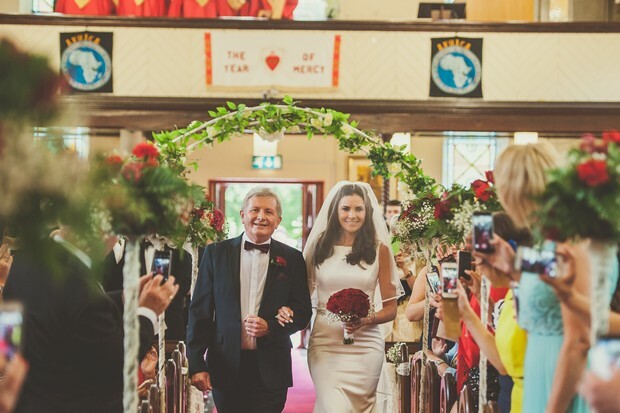 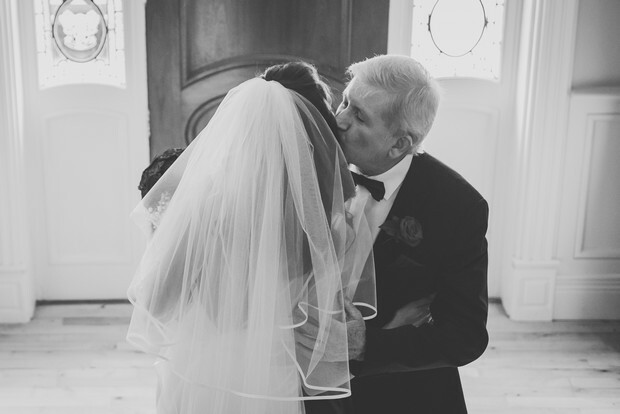 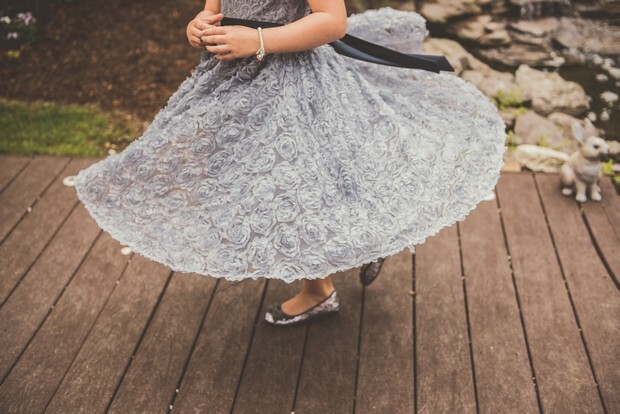 My favourite part of the wedding day… Oriel: dancing down the aisle to Going to the Chapel on my dad’s arm – everyone was so happy, it was so much fun! 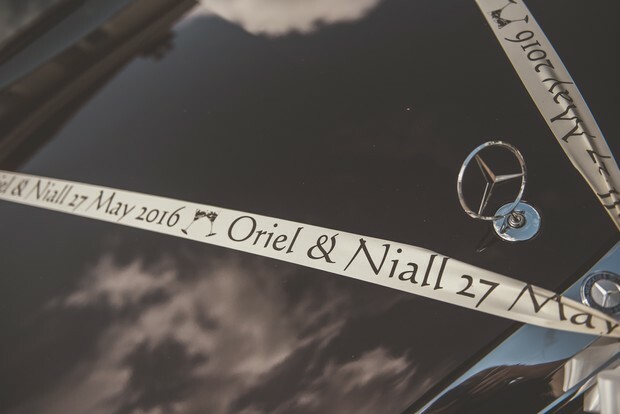 Niall: Seeing our chocolate brown Labrador Denzel when we came out of the church in his dickie bow. 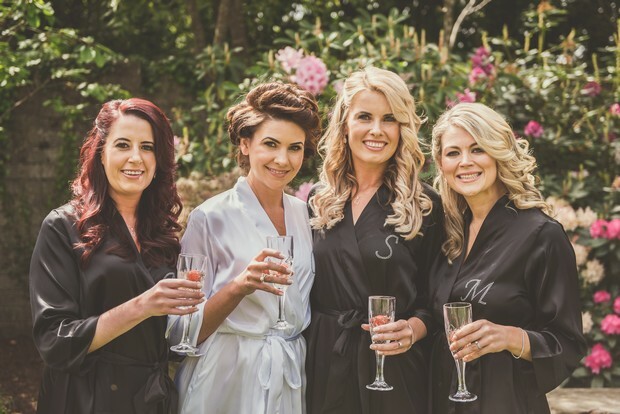 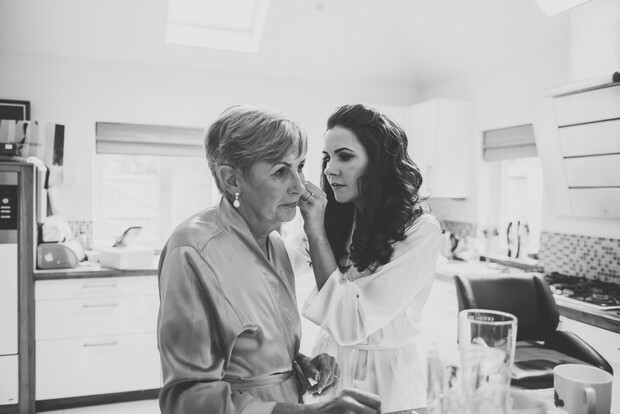 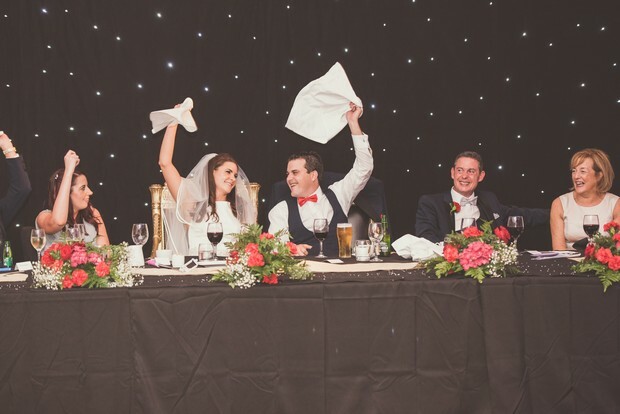 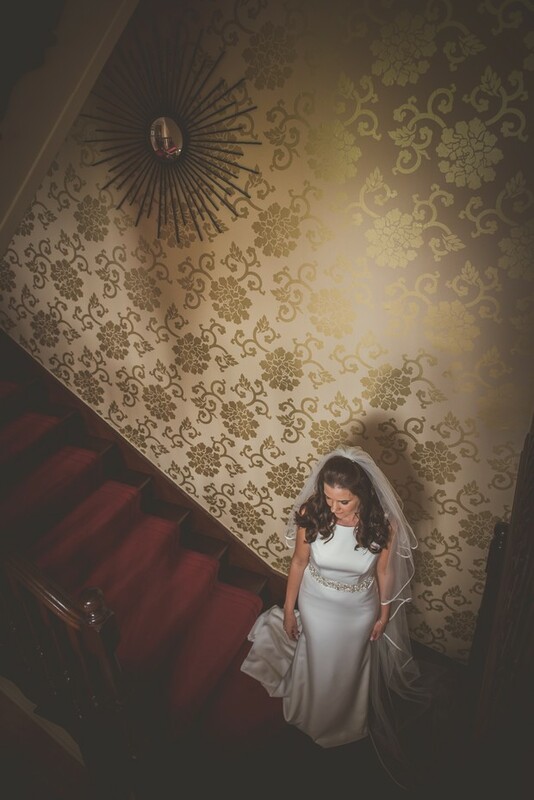 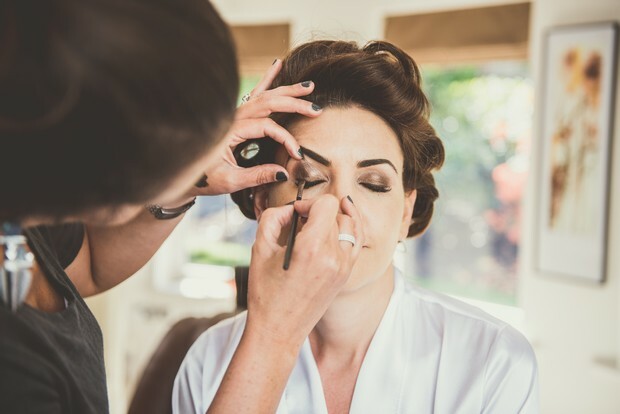 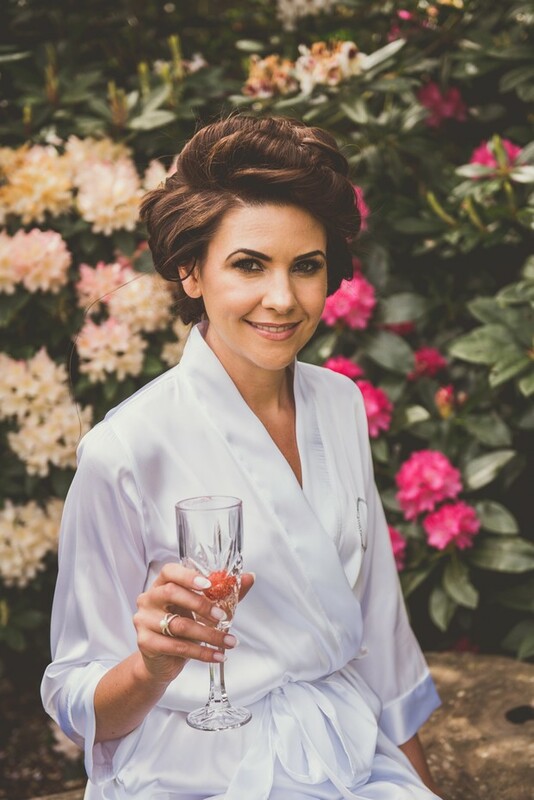 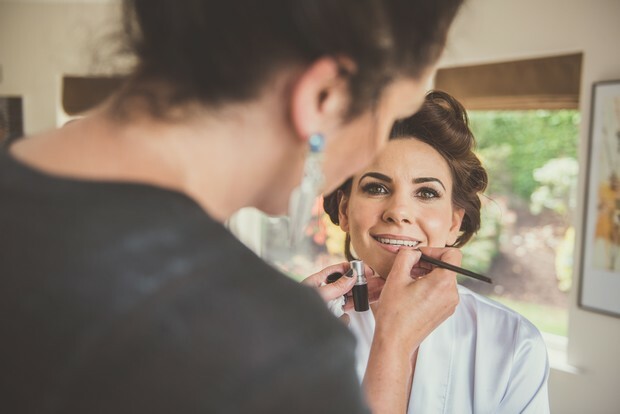 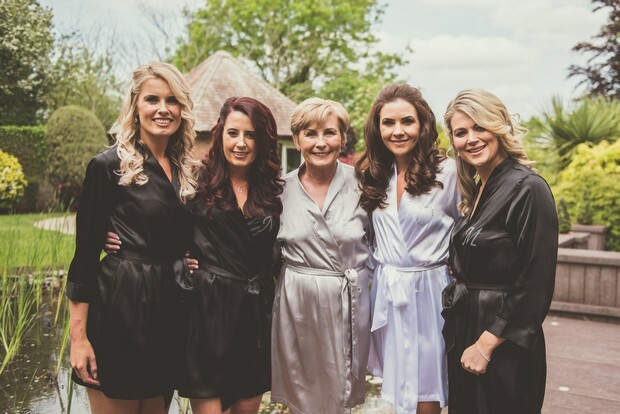 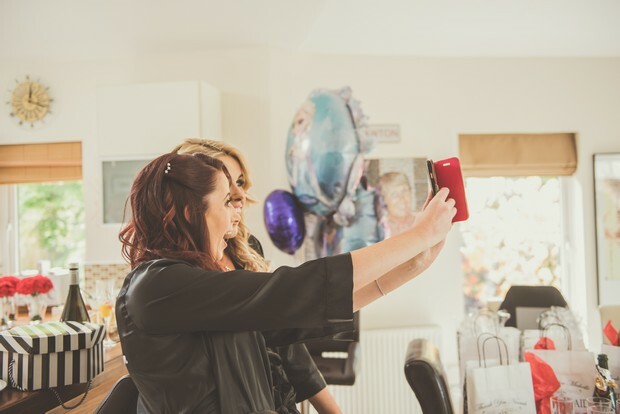 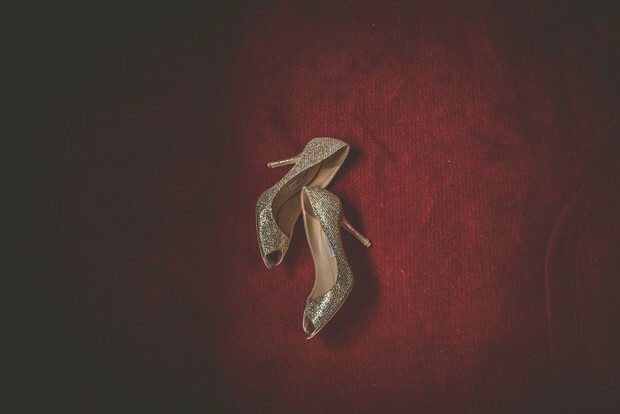 We chose our photographer because… Emma (Emma Russell Photography) did my sister-in-law Lisa’s wedding and the photos were fab! 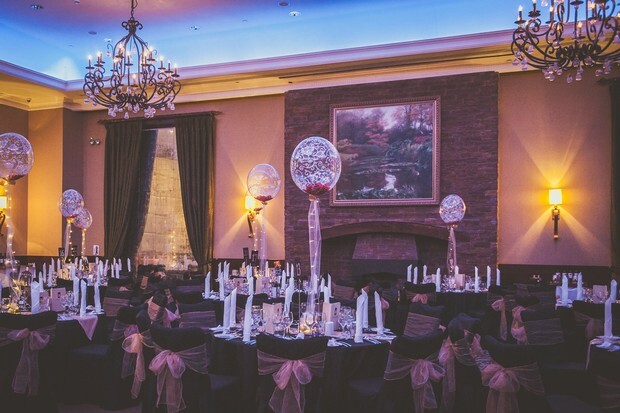 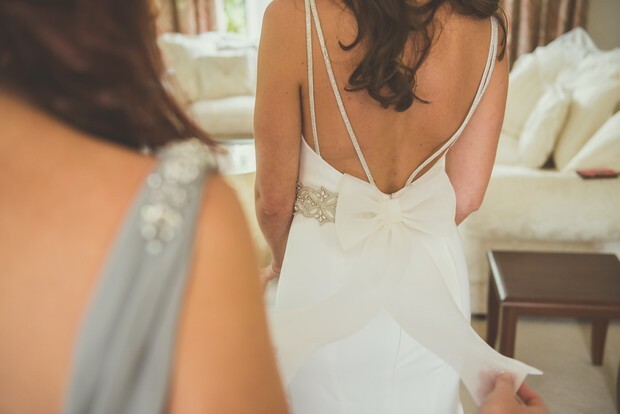 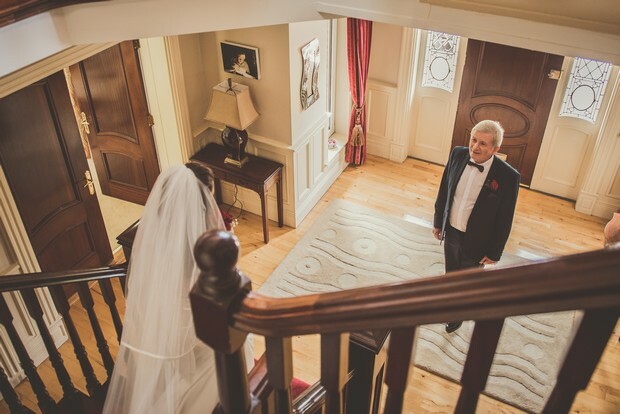 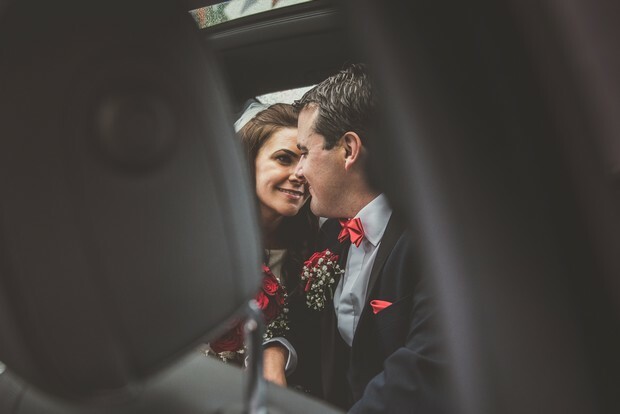 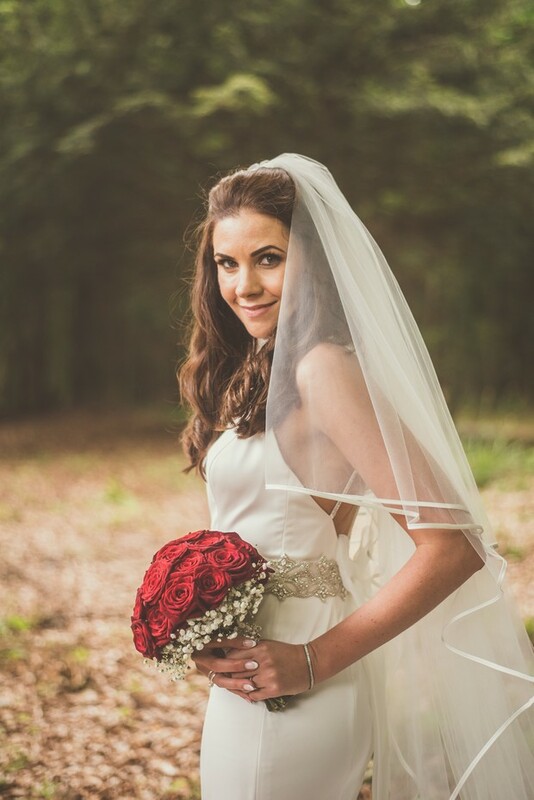 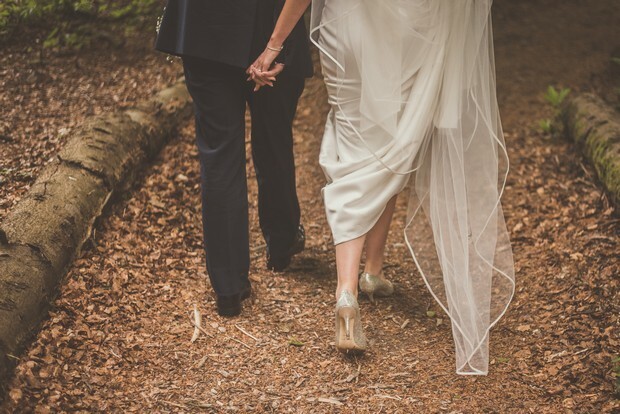 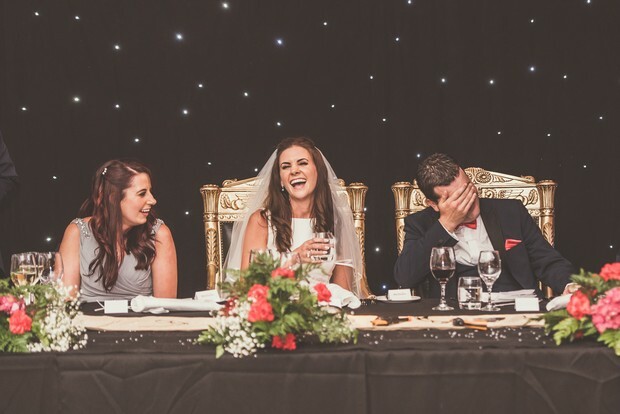 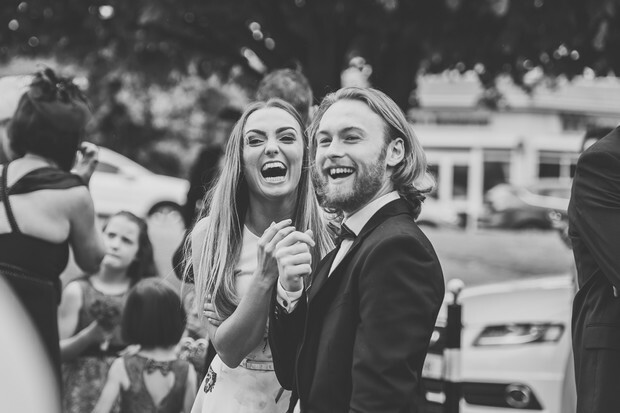 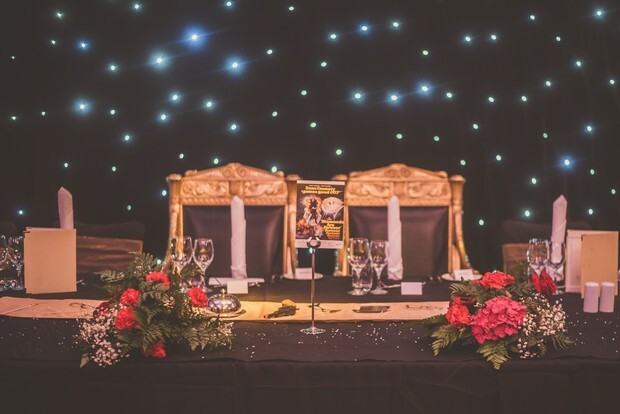 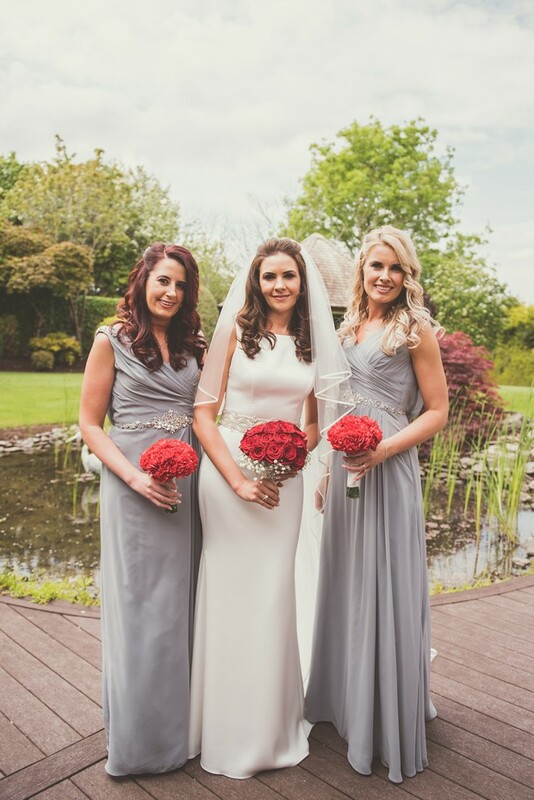 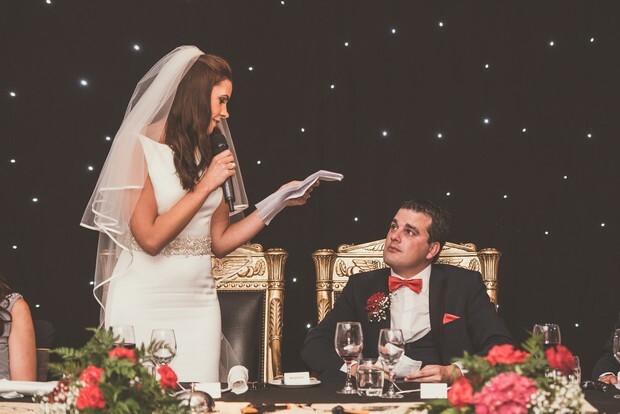 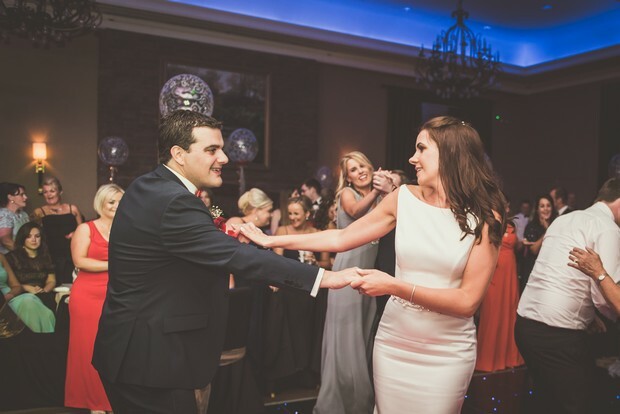 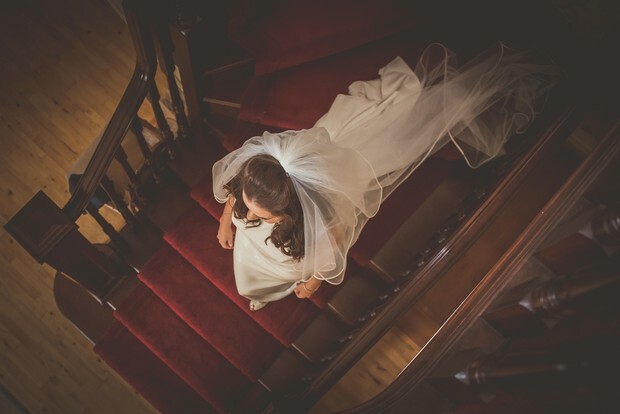 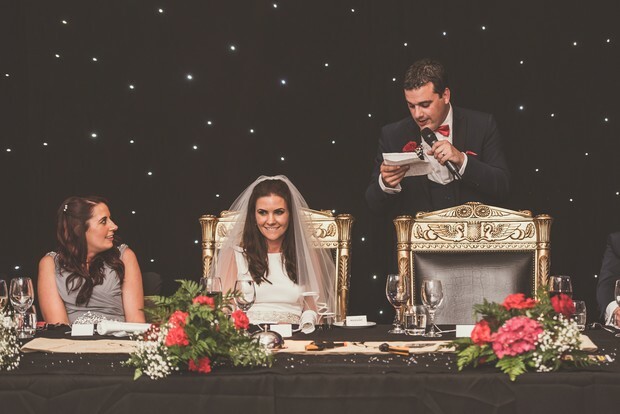 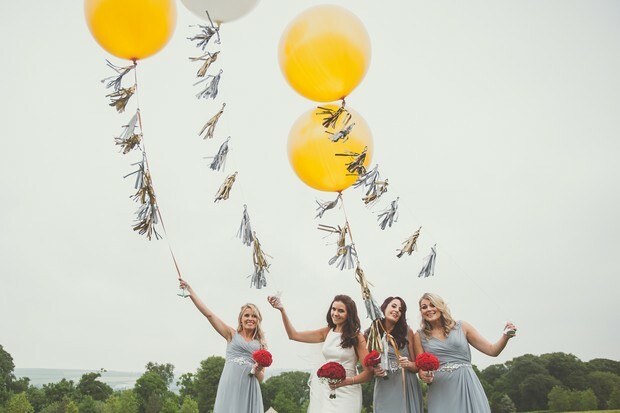 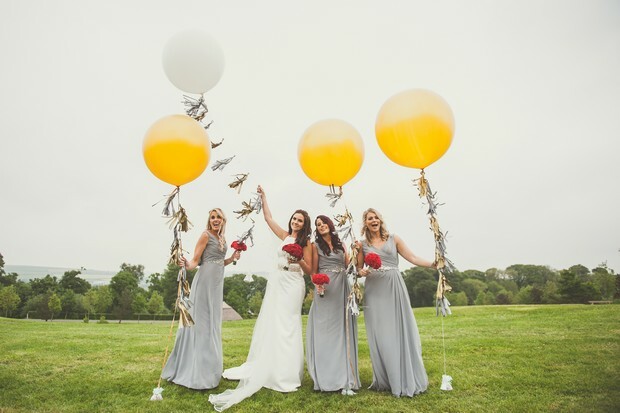 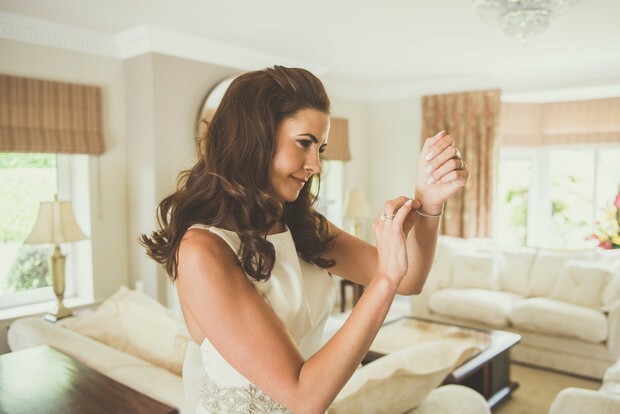 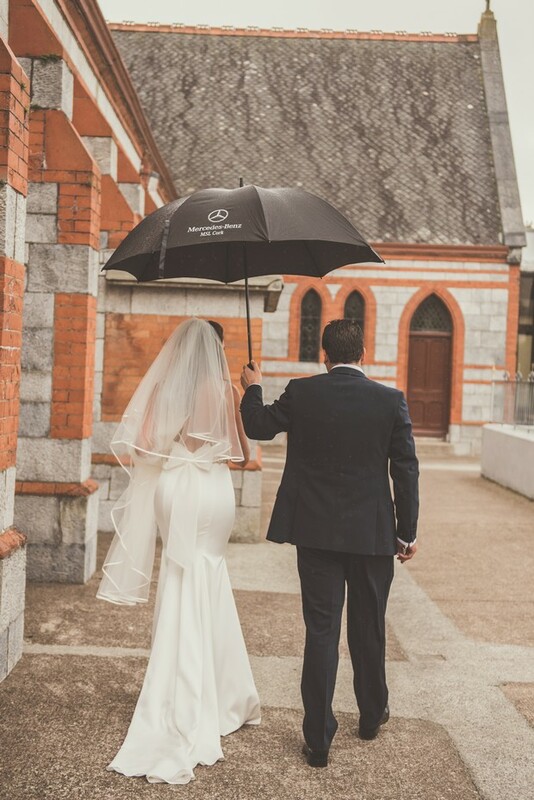 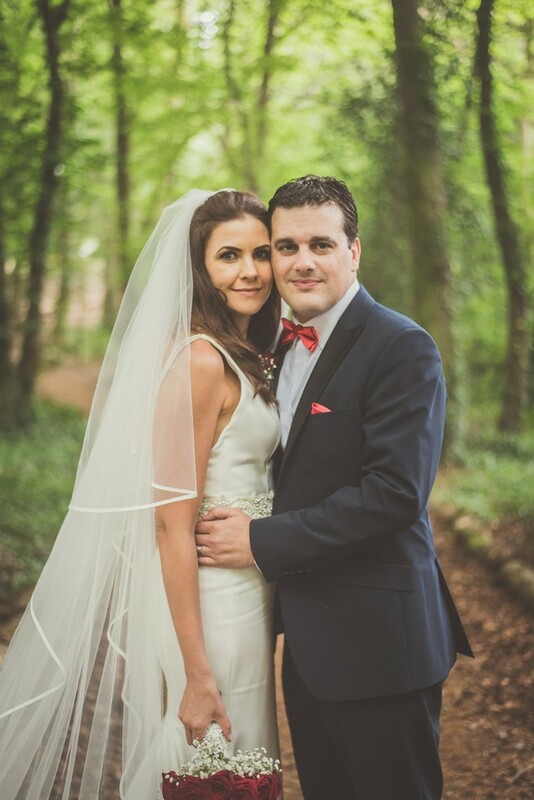 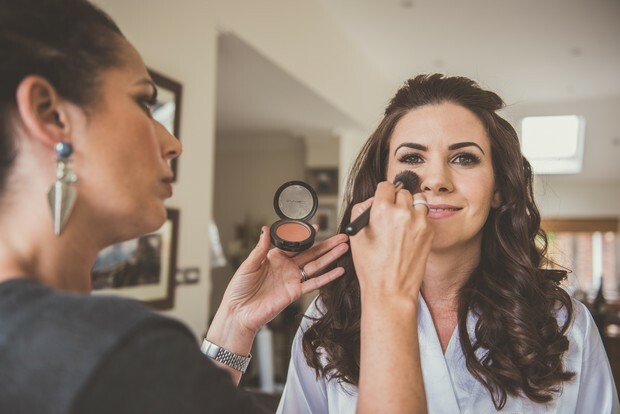 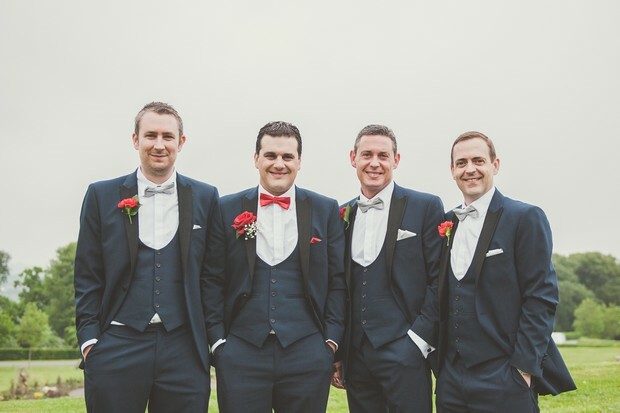 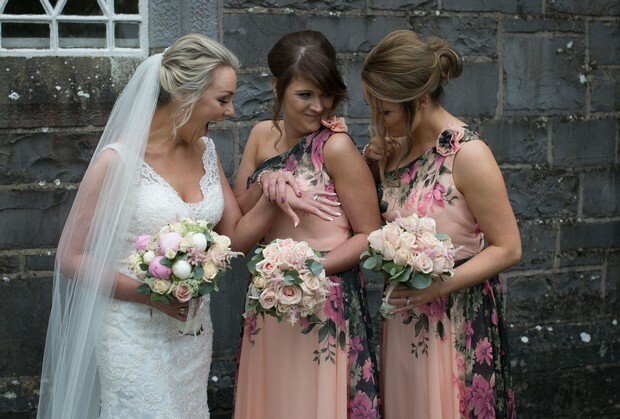 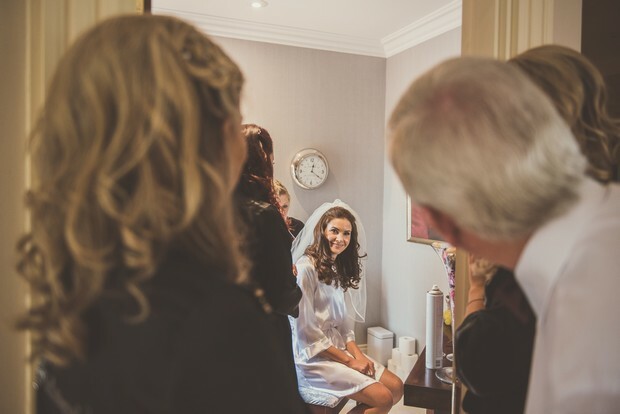 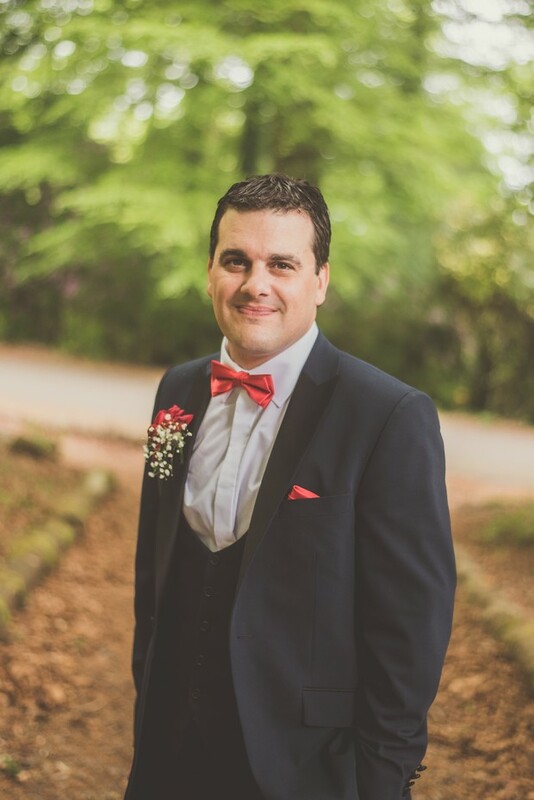 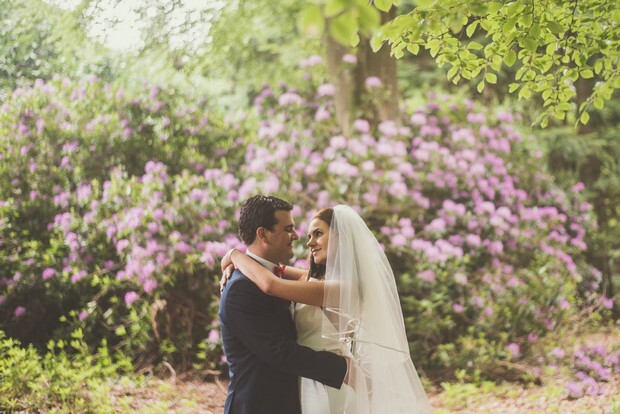 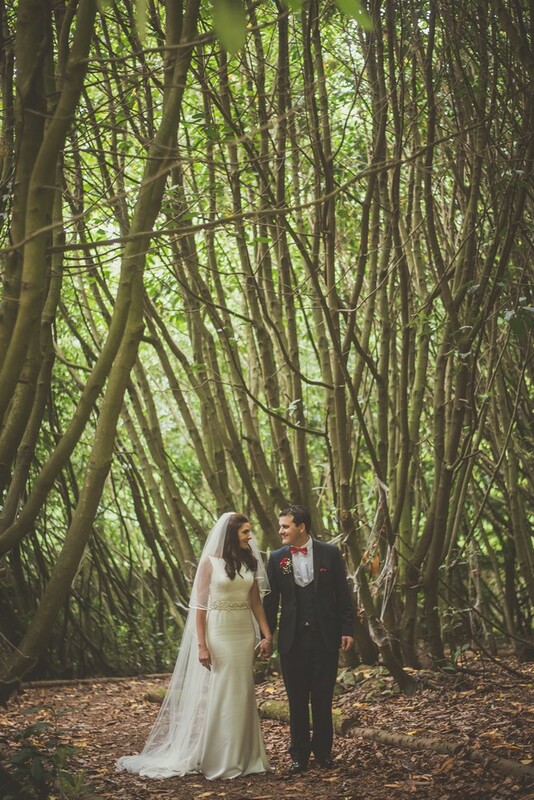 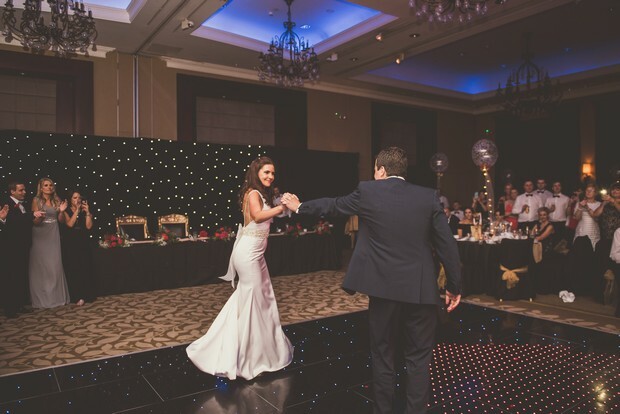 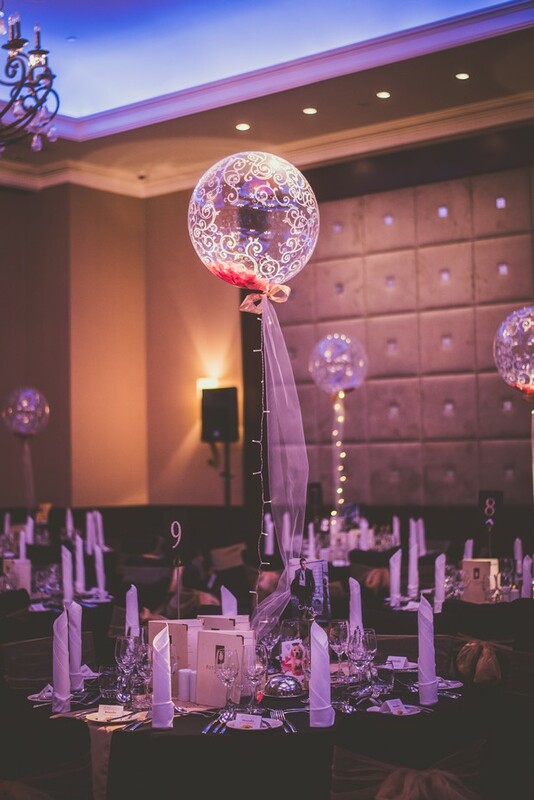 We chose our venue because… We wanted somewhere that could take our wedding numbers and would look like somewhere from a James Bond movie so we chose Fota Island Resort in Cork. 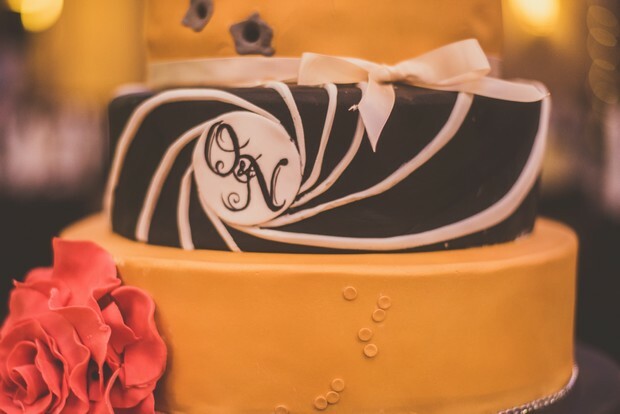 Our wedding theme/colours… we had a James Bond theme! 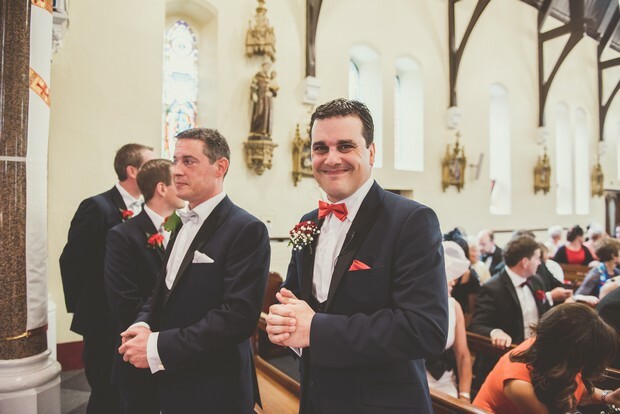 It was a Black Tie wedding with a fun casino at the drinks reception. 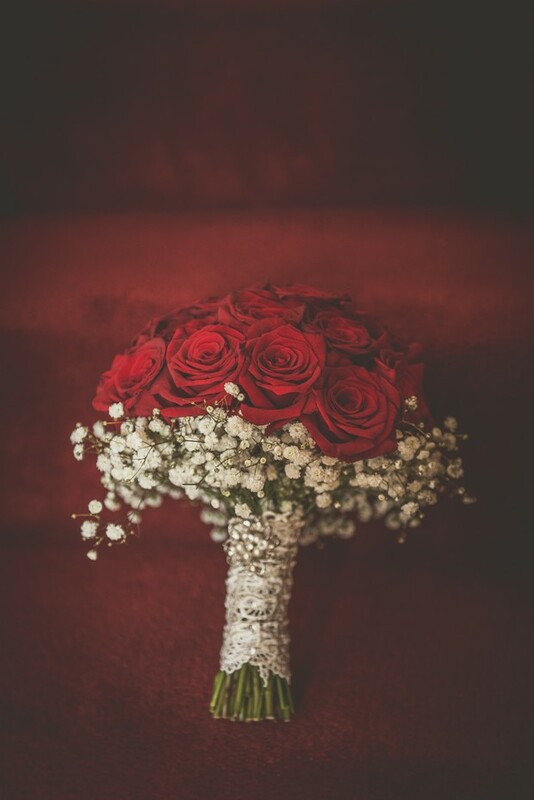 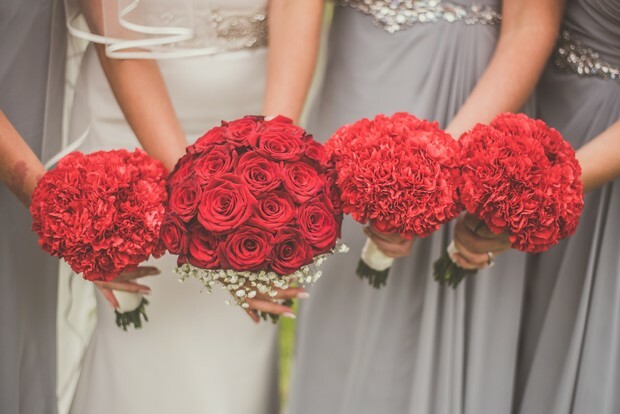 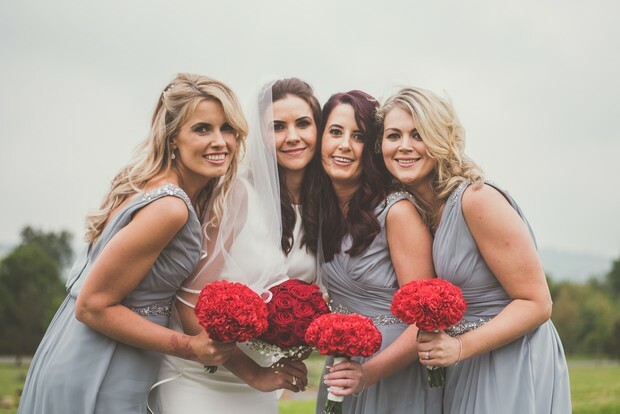 Our bridesmaids wore platinum and the flowers were red. 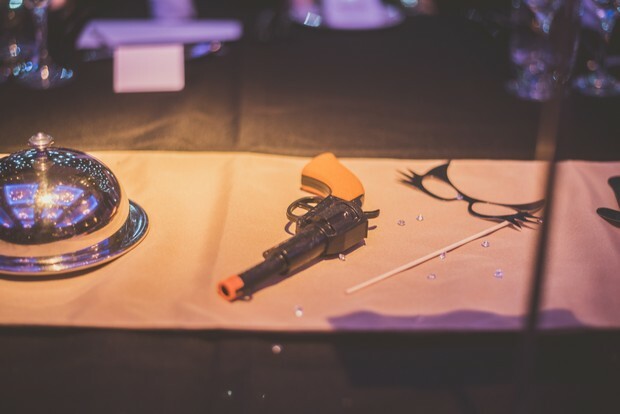 Our menu… Classic and appealing to most appetites. 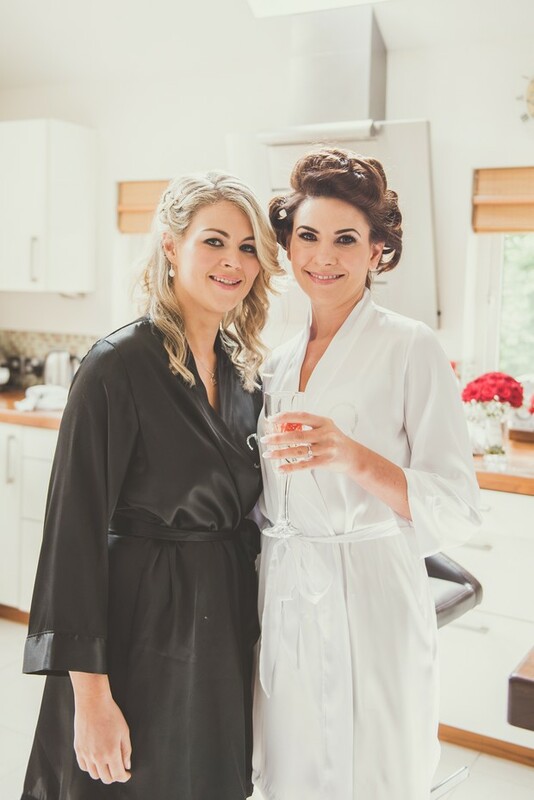 We incorporated martini glasses with the Champagne sorbet! 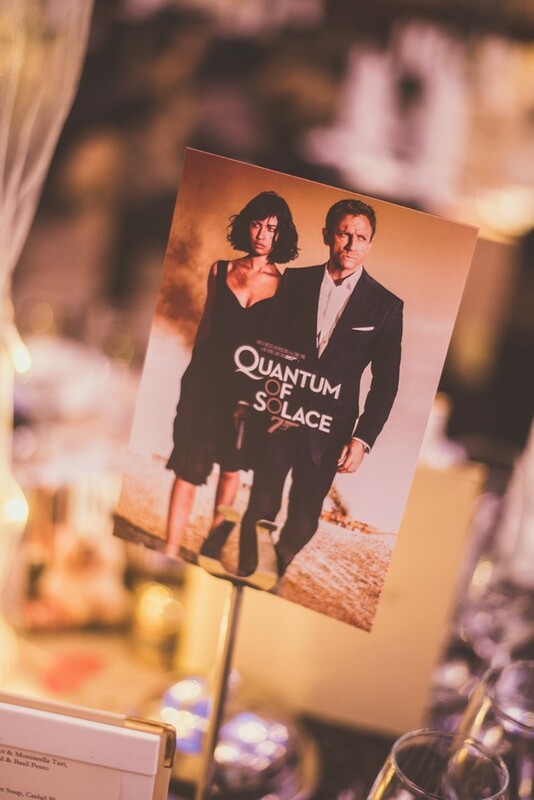 Little extras… we had a caricature by Niall O’Loughlin on a board and all our guests signed around it, great as a keepsake afterwards. 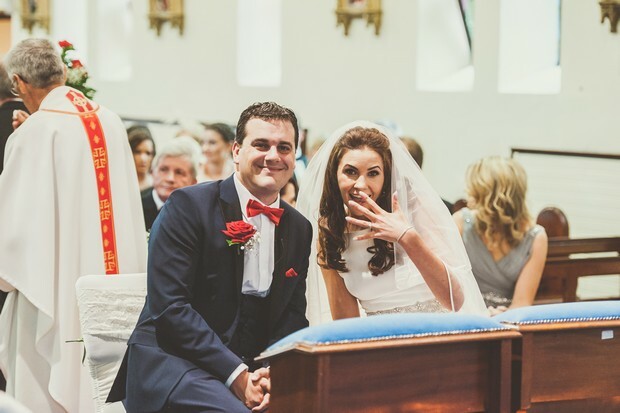 Our honeymoon… was in Cancun in Mexico. 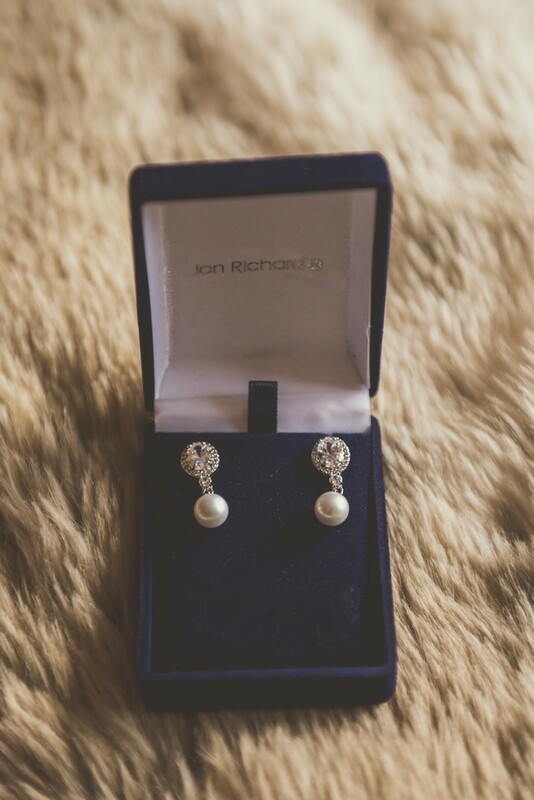 Luxurious and fab!